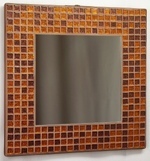 It is made from 204 tiles in 3 colours, with a nominal size of 23cm wide x 23cm high (approx 9 x 9 inches) and a 15cm x 15cm mirror. 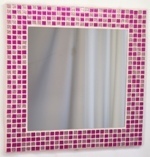 Although this shop is for UK customers only, this mosaic design can be shipped to Europe, USA, Canada, Australia and other countries - order online at Silver-Blue Glitter Corners 23cm on Kaamar.com (or if you prefer, use the quote button on the right to ask for a quote). 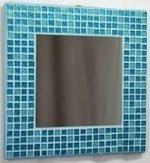 This photo shows the Silver-Blue Glitter Corners 23cm Mosaic Mirror, in the Satin Edged format for wall hanging. 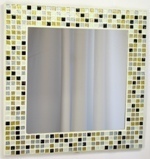 This photo shows the Silver-Blue Glitter Corners 23cm Mosaic Mirror, in the Satin Edged format complete with Stand. 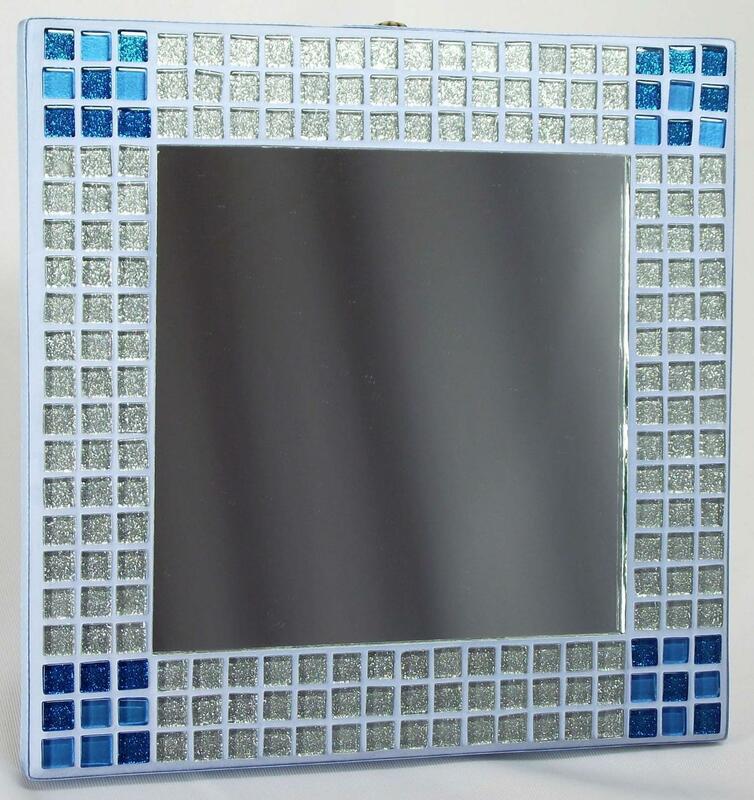 A mix of blue glitter tiles and a lighter metallic blue tile, alongside Silver glitter tiles, with a pale blue grout. 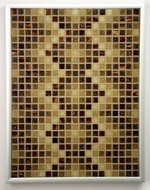 Grout Colour: Pale Blue 12BW. Overall Size: 233mm x 233mm x 23mm approx. Overall Size: 233mm x 233mm x 29mm approx (with stand closed). For delivery to other countries, to the excluded remote areas or if you require additional delivery options such as Saturday/Next Day/Before 10am please order online at Silver-Blue Glitter Corners 23cm on Kaamar.com.